More than 70 events, 26 venues, over 300 live acts showcased between October 30 & November 6. Read on for the full rundown. The time has come to unleash the full jam-packed 8-day schedule for this year’s MTV Liverpool Music Week sponsored by edc by Esprit. With only a week to go until the UK’s biggest indoor winter music festival rolls into town, this year’s event which runs from October 30-November 6 has been streamlined into a mouth watering jam packed agenda of music, that includes some of the UK’s hottest and ground breaking acts including Goldfrapp, Vampire Weekend, Dizzee Rascal, Black Kids, Mystery Jets, Kissy Sell Out, The Presets, Martha Wainwright, The Fall, Ladyhawke and Magistrates alongside an unbeatable free music agenda that includes performances from the likes of Noah & the Whale, Wiley, Sway, Sonny J, The Holloways, The Maybes?, John Power, Florence & The Machine and Cocknbullkid to name a few. This year LMW has partnered with MTV UK to coincide with the MTV Europe Music Awards which will be taking place in the city on November 6, a major coup for the city in its European capital of culture year, and only the 3rd time the awards have been staged in the UK since it began. The festival’s ‘no genre restriction’ policy is reflected this year more than ever and welcomes music from across the board including, dance, rock, indie, jazz, hip hop, soul and world music. Featuring over 300 acts, performing at over 70 events across 26 venues in the city, LMW will be the hive of activity for visitors in town for the 2008 MTV Europe Music Awards. In under a month, the eyes of the world will be on the city and the festival that brings our infamous and legendary music scene together to celebrate what we do best. This years main host venues include Korova, Bumper and Alma De Cuba all featuring a jam packed schedule across the 8 day festival. The stunning Host Venue is set in what was once St Peter’s Catholic Church. Communion now consists of wine, mojitos and martinis. Much of the original design of the building remains – Incorporated into the new look. Winner “best design” in the 2008 UK Restaurant Awards, Alma once again hosts a handful of quite incredible events that focus more on the merging of scenes and sounds in truly spectacular fashion. All shows here are free entry too, but early arrival is advised! FREE Shows here include Wiley, Sway, The Maybes? John Power, Tramp Attack, Peter & the Wolf, The Holloways. Liverpool Music Week 2008 kicks off with the most ambitious opening night to date on Thursday 30th October with 3 of this years 7 ticketed shows marking the occasion, Vampire Weekend (SOLD OUT), The Fall and Martha Wainwright corner’s the city in various venues. Whilst the free show agenda includes acts including Eugene McGuinness, Loefah and The Troubadours to name a few with Wolfgang Flur (Ex-Krafwerk) performing a live soundtrack to his own biography reading. A unique show not to be missed. Mercury and Grammy nominees Goldfrapp return to perform at Liverpool University, on the same night why not head over to the Bestival Reunion, one of the UK’s most colourful festival returns with a line up that includes live performances from Mystery jets, Kissy Sell out and the Cuban Brothers, DJs include BBC Radio 1’s Rob Da Bank, Sombrero Soundsystem and special live guests The Presets, whilst the free music agenda rolls out across the cities music venues with various performances from Noah & The Whale, Damien Dempsey and Ian Prowse. Black Kids is the big show of the night, taking place in the Nation Courtyard, support acts include Ladyhawke and NME faves Magistrates. Other acts performing across the city include Cocknbullkid, Dogshow, Soft Toy Emergency, Florence & The machine, Kid British, Howard Elliot Payne and Solas. 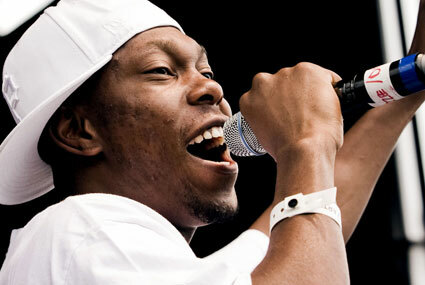 Hip hop legend Dizzee Rascal performs at Liverpool University, riding the wave of success following his No.1 chart smash in collaboration with Calvin Harris ‘Dance Wiv Me’. It’s Dizzee’s biggest ever show in the city by a mile, and has now completely sold out! Elsewhere, we’ve got ‘Jazz/World Sunday’ at Bumper, featuring some exciting acts including Afro Roots, FOE, and the Whiskycats. 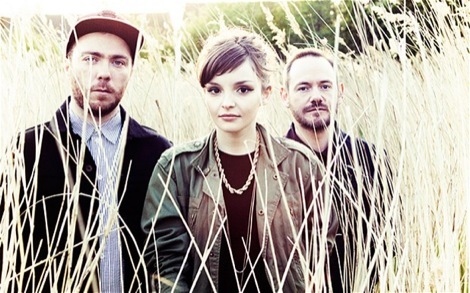 Other acts performing across the city include The Joy Formidable, Screaming Lights, The Maybes, John Power, Duncan Ewart, Jez Wing and Heads Of State. Its all about the free shows from this night on, one of the hottest events on this years free music agenda includes ‘Wearing My Rolex’ Wiley, Holy Ghost Revival, Rosie & The Goldbug, Hot Machine & Ezra Bang, Mugstar, Nilamusic, Kinsheeva and an open Mic night at 3345. Johnny Foreigner, Dananananakrod, Ipso Facto, The Holloways, Peter & The Wolf, The Dawn, Zombina & The Skeletones form part of the line up for one of the busiest nights of the festival, be sure to bar hop between Bumper, Korova, Alma De Cuba, Metropolitan, Hannahs, Zanzibar, 3345, Parr Street Studio 2 and The Picket to experience sounds from across the board. MOBO nominee Sway joins the MTV Liverpool Music Week free show agenda. This hip hop rapper’s reputation arose from underground to mainstream after coming into the public eye by winning a MOBO Award in 2005 for Best Hip Hop Act, defeating heavyweight hip hop artistes 50 Cent and The Game to collect the award, and more recently collaborated with the Kaiser Chiefs, Sway is definitely one to catch while you can. Another highlight for this penultimate closing party is Soweto Kinch who makes his Liverpool debut. 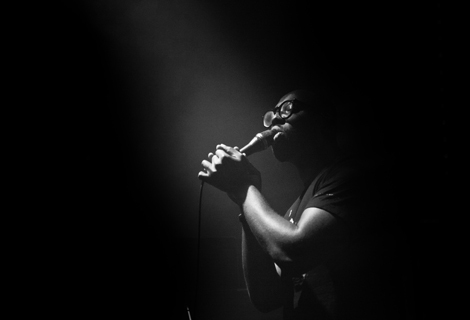 Soweto is one of the hottest jazz musicians of the moment, and has scooped many accolades including MOBO Winner for Best Jazz Act 2003 / 2007, BBC Radio Jazz Award Winner for Best Instrumentalist and Best Band, and his debut album ‘Conversations With The Unseen’ nominated for the Mercury Music Prize. Other highlights include Meshuggy Bonfire Night special at Korova, The Ragamuffins, The Real People, Kovacs and the Sense Of Sound Choir at Magnet. For your final fling this year, do not miss the closing events for this years MTV Liverpool Music Week, your last chance to see some stars of the future. Bumper’s the big one, headlined by Sonny J, a faceless artiste that is intriguing the music world with his unique and distinctive sound. With hit single ‘Can’t Stop Moving’ setting the charts alight, this will be a fantastic way to end the festival. He will be joined by Cantmixwontmixshdntmixdontmix + very special guests to be announced. Other events closing out this years festival include Korova, which will be headed up by Echo & The Bunneymens Will Sergeant DJ’ing with friends in the Bar, whilst downstairs in the club US upstarts Neptune, Monobrow + Special guests keep things lively. Tickets available from www.ticketline.co.uk / Tel: 0151 256 5555. ÃÂ£12 Tickets – Doors 8pm. i:OBJECT – a sound + objects spectacular ! ÃÂ£12 Advance – Doors 8pm. The Hannah’s house ‘covers’ band – taking YOUR requests – and inviting you up onstage – live Singstar! Upstairs: the best in Ska, Reggae & Punk! PLUS SPECIAL GUESTS NOT TO BE ANNOUNCED! Free Entry – Doors 9pm – Be Early!